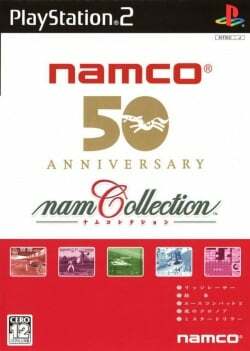 Game description: NamCollection is a video game compilation of 5 PlayStation games by Namco, released in 2005 only in Japan to celebrate their 50th Anniversary. Each Game includes enhancements like analog stick support and retexturing. Included games: Ace Combat 2, Mr. Driller, Tekken, Ridge Racer, Klonoa: Door to Phantomile. This page was last edited on 17 November 2017, at 16:34.